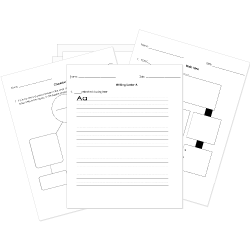 You can create printable tests and worksheets from these Grade 3 Charlie and the Chocolate Factory questions! Select one or more questions using the checkboxes above each question. Then click the add selected questions to a test button before moving to another page. What happened to Charlie's family at the end of the story? They didn't believe Charlie won. They didn't have any food to eat. They moved to the chocolate factory. Which description best describes Charlie?